Good Digital Culture have acted as creative and technology leads for the PUG Awards, People's Choice Awards for Architecture in Toronto for the past eight years, as well as serving as members of the executive committee. 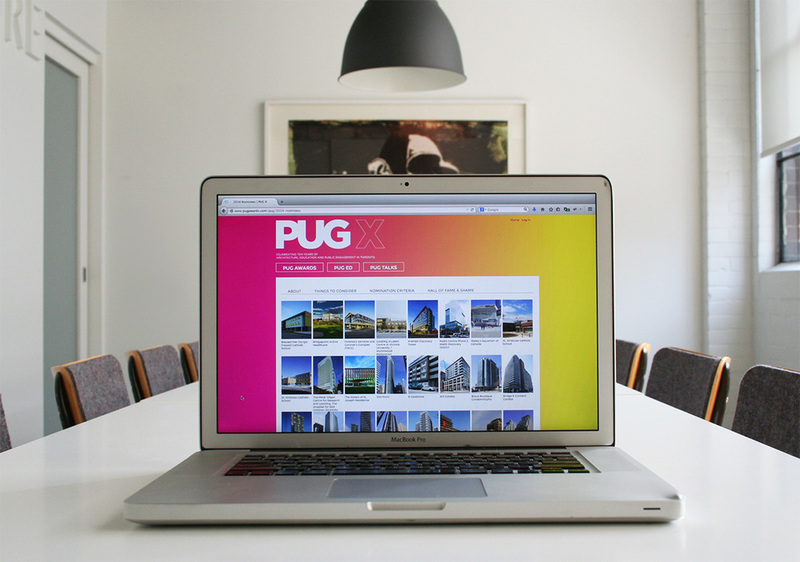 The PUG program is a digital first initiative designed and built as an annual voting system allowing citizens to vote on the best and worst of Toronto architecture. 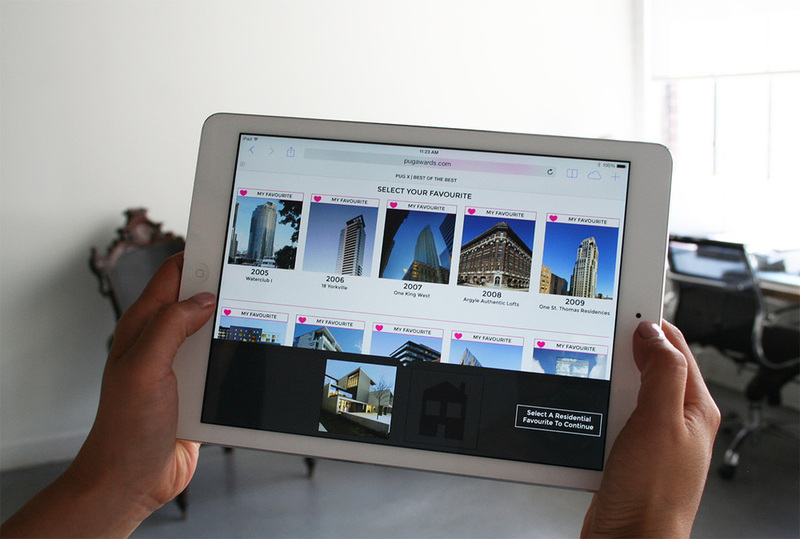 This civic engagement project relies on an intelligent online voting and interaction mechanism to create what has become one of Toronto's most anticipated public architecture forums of the year. In addition, we have gone on to create a digital eduction curriculum for inner-city schools in Toronto, including an online video series and eight week after-school program. At the end of the curriculum a final project is judged by both teachers and PUG directors and a series of post-secondary education bursaries are awarded. 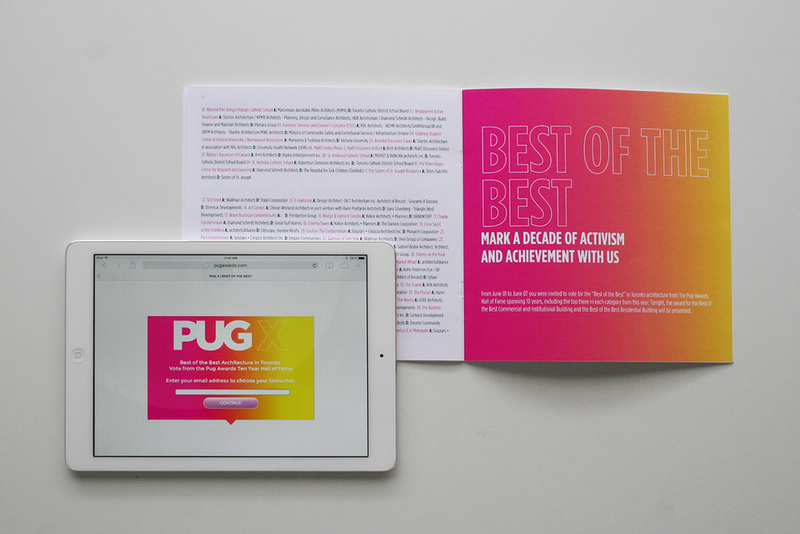 With approximately 60,000 building votes and over 25,000 visitors in 2013, the Pug Awards continue to gain momentum and capture the imagination of Torontonians. Our achievements have formally been recognized by the City of Toronto who house the Pug Cup on permanent display in Toronto’s City Hall. This past summer the annual awards ceremony and roundtable discussion was attended by many of Toronto’s most prominent members of the design and development community, leaving standing room only and numerous mentions in major Toronto media outlets including, The Globe & Mail, The National Post, Canadian Architecture, Azure, Toronto Life and The Toronto Star.